350 Litres of Beans Req. 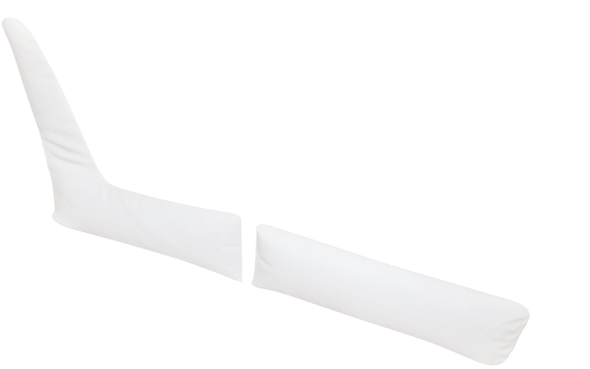 We designed the Unwind Recliner to take relaxation to a resort-style level. 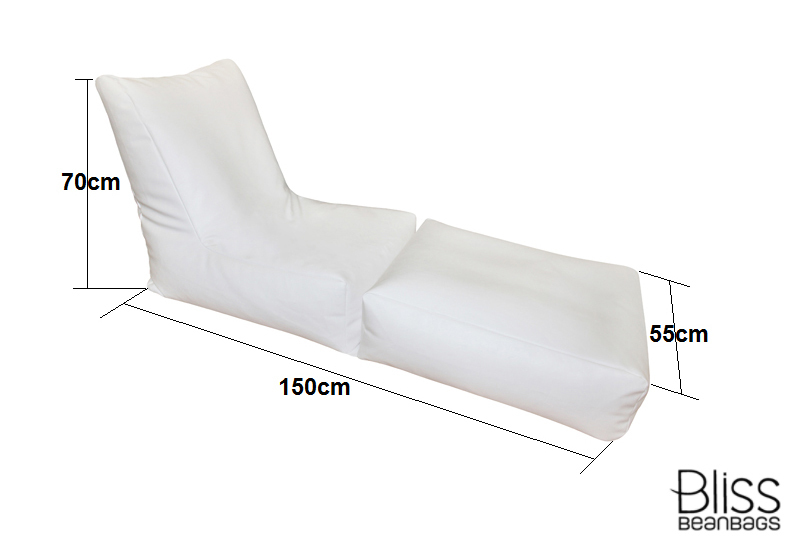 Open it to full length and you have an ultra comfy daybed on which to snooze or take in the lazy weekend sunshine. 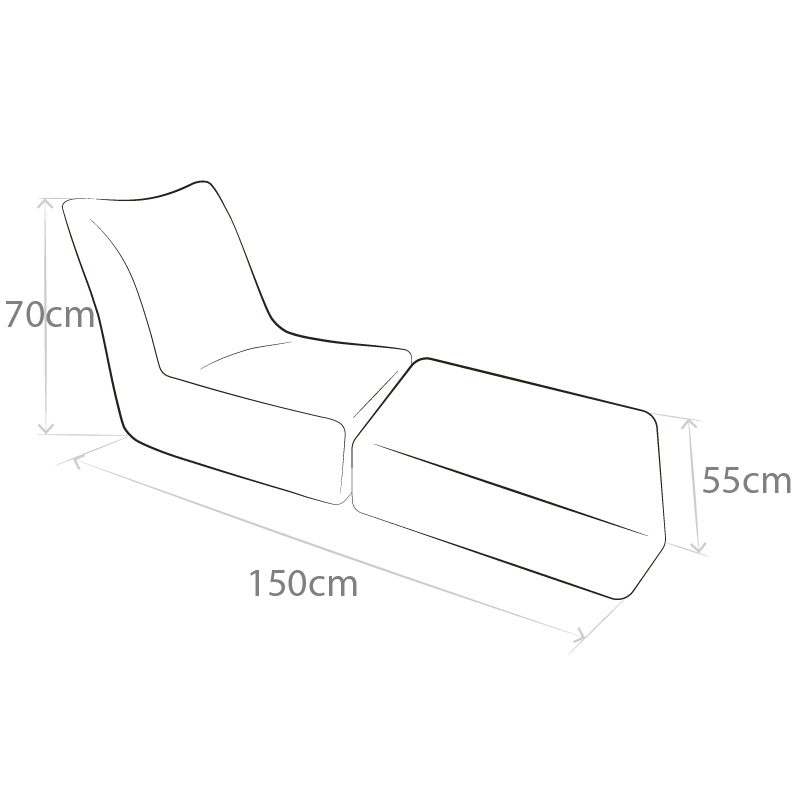 Fold it under, and you have a stunning recreational chair to sit on while you sip a cocktail and socialise with your besties. Choose from over 120 colour combinations when selecting your Unwind Recliner to reflect the colours you love and set the mood of your ultimate relaxation space perfectly. 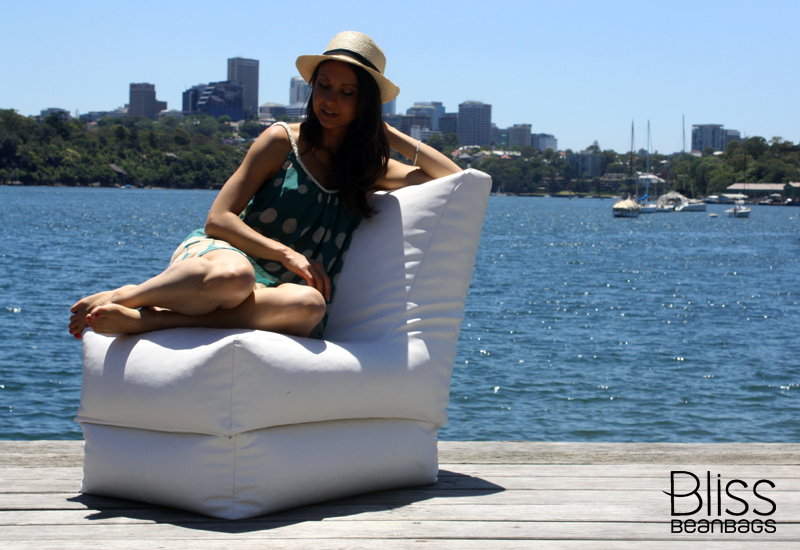 Bliss Bean Bags are perfect for those households in transition with no furniture and then after as lazy comfy seating. We love ours and have decided not to get a couch because of how comfy and handy they are. Saves us money and I look forward to movie nights even more! Love my colour combo. Love the backrest and love falling asleep in it! Took it to new years to watch the fireworks… Random people kept commenting and asking where I got it from, was happy to pass on the details for the bliss bean bags website. thanks guys for a great hand made product. I bought two bean bags for my teenage boys to put in their new bedrooms. They both chose their own shape and colours and when it arrived it was even better than we could imagine! Now I can’t get them off it! They love it, it looks and feels fabulous and I have told lots of friends about it and will recommend getting this to any one! 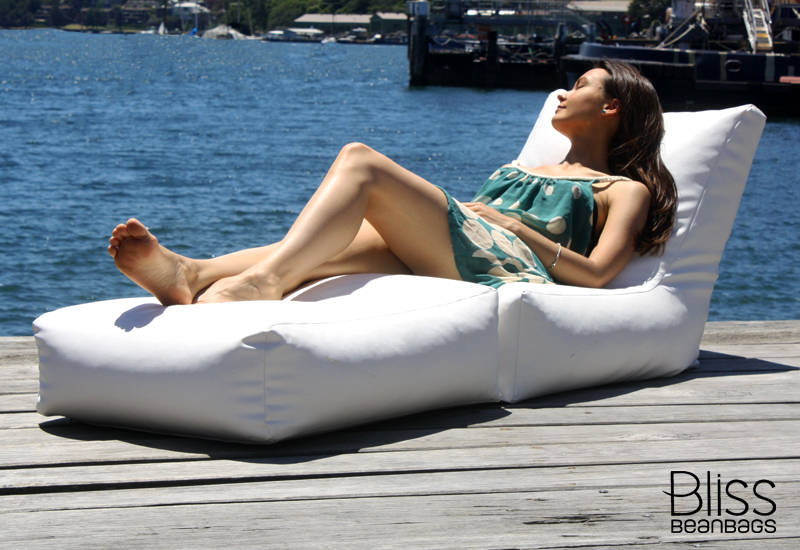 I wish I had a hide away corner for “mums only” where I could have my own piece of heaven on a fantastic bliss bean bag! The bean bags are fabulous. We are very pleased with the quality of them both. I have already recommended them to my sister who I think has purchased a couple of bean bags now too. Hi very happy with service, advice and delivery. The colours we selected are great also quality. would certainly recommend. 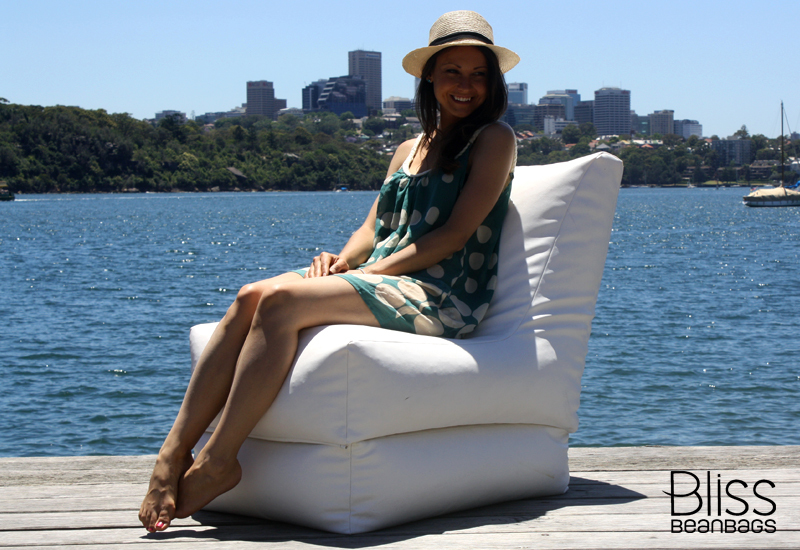 We purchased 2 unwind recliner bean bags in stylish ice white with black edging back in September this year. We absolutely love them! Great for indoors as two additional chairs in the living room, even better outdoors, as oh so comfortable recliner chairs on our courtyard decking. We often laugh that all we now need is a swimming pool to complete the look!! We are very happy with the Bean Bags, it not only looks great, it’s also very comfortable, a long way from the bean bags of yesteryear. My new Bean Lounge has now settled in at my home in Goulburn and is exactly what I needed to fit all my curves and bumps and extremely comfortable for my hip problems which I have to have epidural spinal injections. However, I have to admit I have to fit with my 20 years old grandson for it – especially when the rugby League is on. 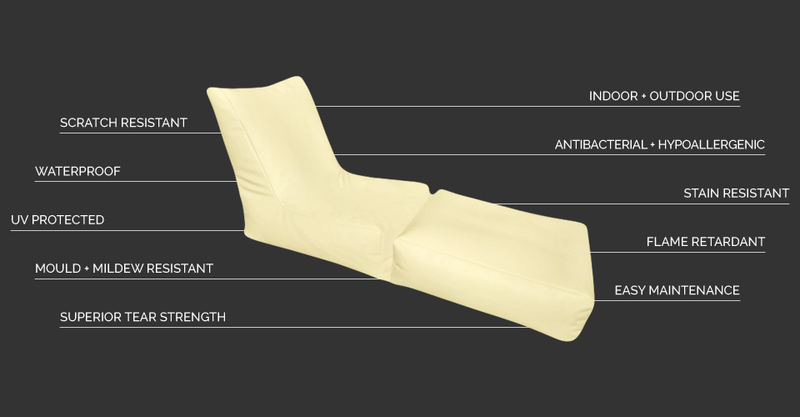 It was everything I was hoping for – comfort and versatility – lounge or chair. We selected a premium marine grade vinyl as our fabric due to its wear resistant and fire safety properties as well as beautiful texture. You can select from a very wide range of colour combinations from 16 great colours. We may pay a lot of attention to the aesthetics of our bean bags, but that isn't our only focus. Durability is a big priority. 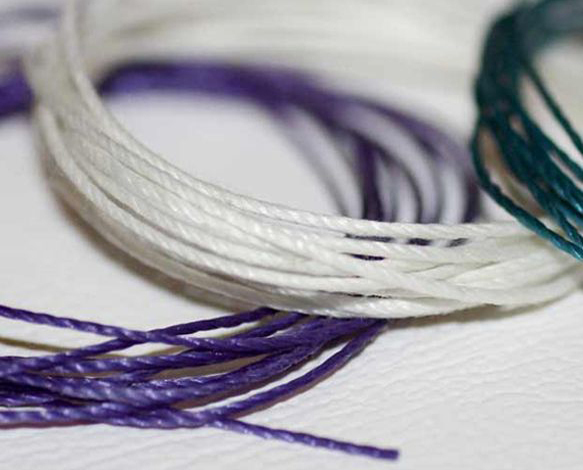 And so we have chosen to stitch them together using a high grade, 25 Ply thread. It may sound overcautious, but the thread can endure heat of up to 200ºC without disintegrating. And neither will it be damaged by the effects of UV or water. 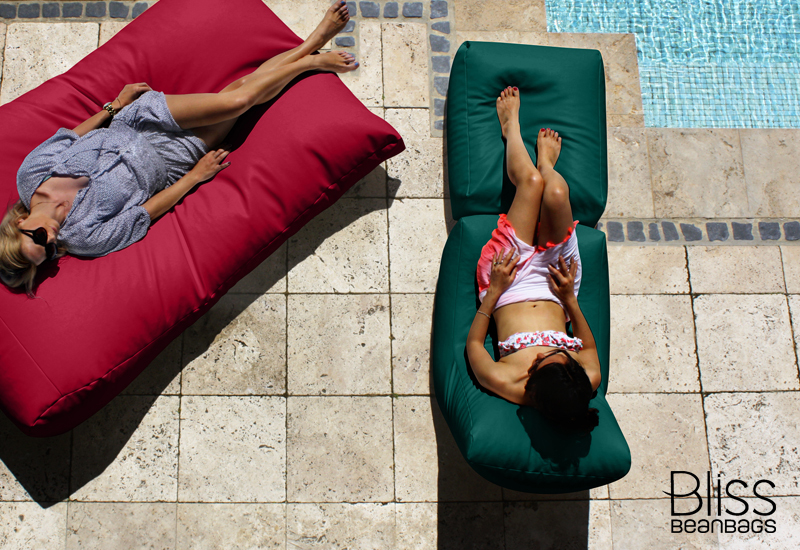 After all, we strive to create bean bags that last a lifetime. 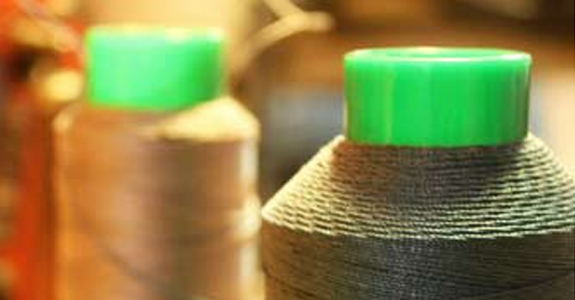 The thread even complements the large choice of fabric colours that you can select from. But that's just us. Finicky. Perhaps safety is a concern for you regarding bean bags. It is for us as well. 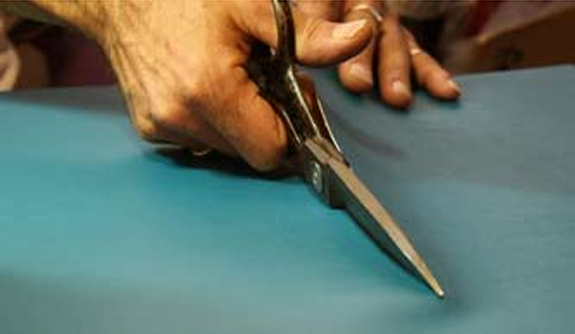 We use specialty safety zippers when making our products. 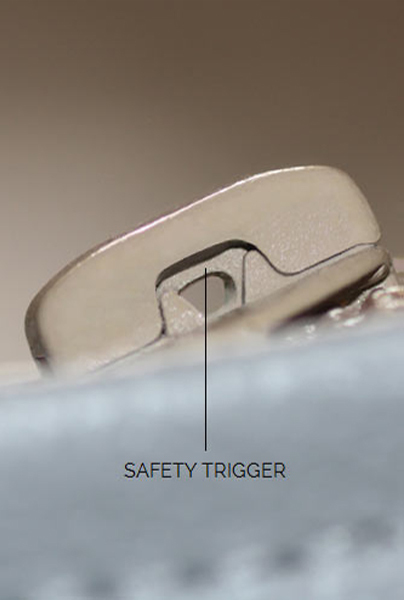 These have a safety trigger that needs to be lifted – usually with a paper clip – before it can be closed or opened. 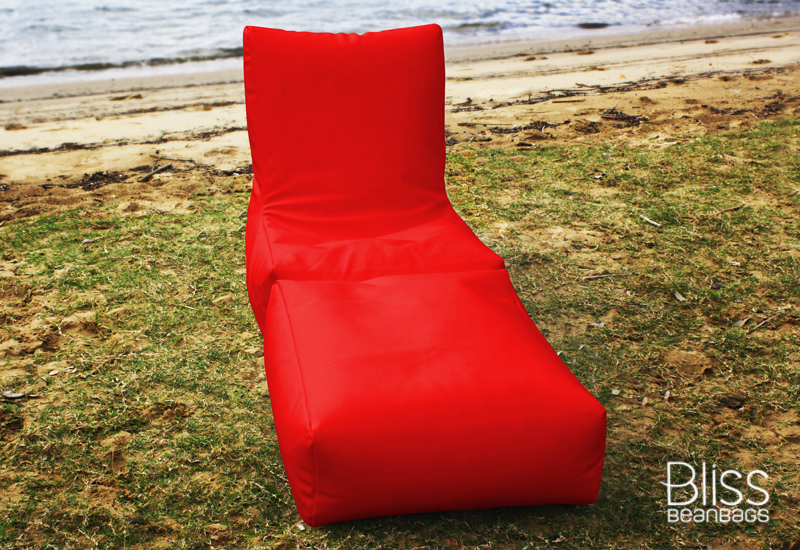 You or your kids can muster up all kinds of rough handling, and your bean bags will not spill, scratch or snag. So the coast is clear to jump around on them. We know you'd love to! 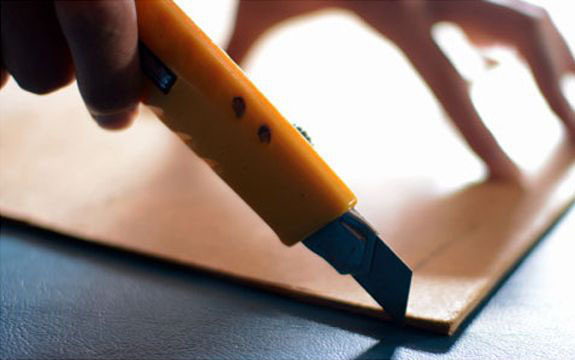 We value all the details of fine craftsmanship. And to increase safety even further, we added a small flap of fabric to cover the safety zippers when they are closed. In this way, we safeguard against accidental openings and ensure sharp edges are safely tucked away. Our period of 'incubation' was rather long. Our trials and errors took place well before we ever made our bean bags available for sale. 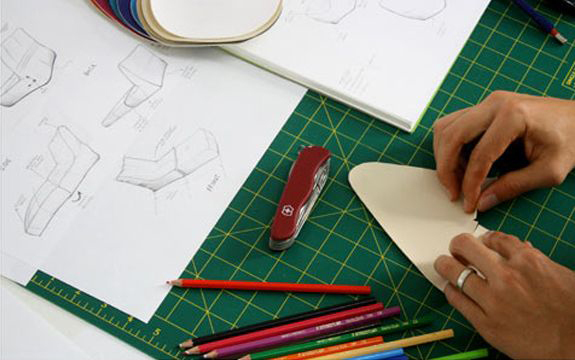 For a span of many months, we tested our designs in detail and went back to the drawing board countless times as we perfected each detail relating to form, stability and safety. And we wanted to ensure our bean bags were compatible with the differing conditions of living in Australia. All our bean bags are quite special. After hours spent making and shaping them by hand, we don't want to let any of them go until we know they meet our strict standards. 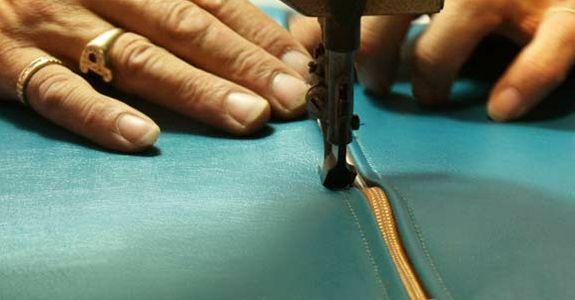 And so after making each one and before it leaves the workshop, we inspect the stitching of every thread line, test the mechanisms of all safety zippers and look over the fabric for any errors. We find that such small things make a significant difference in maintaining product quality as years pass by. And it helps to keep the inner perfectionist in us happy!